Announcement Welcome to Shoppe Sugar Cookie! Please have a look around. Instagram: sugar_cookie, and http://www.spoonflower.com/profiles/sugarcookie for my Spoonflower fabric shop. Welcome to Shoppe Sugar Cookie! Please have a look around. Great communication with seller and fast shipping. Thank you! So cute! Easy communication with seller and items shipped quickly. Thank you! Buttons make great stocking stuffers. Here are some that I shipped recently. Kaylah from the Dainty Squid blog has on my Sleeping Bunny Wood Pin. 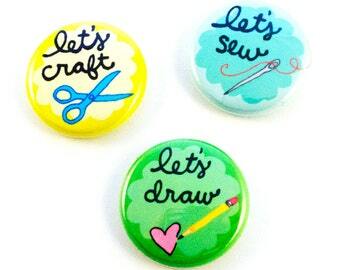 Eva from Misako Mimoko Etsy shop has on my Fancy Cupcake Button. Ting from Ben Loves Ting blog wearing my Hedgie Wood Pin in her fashion photoshoot. Local Athens shop Community used my Loved Letter Envelope Necklace in their fashion show! Kaylah from the Dainty Squid blog wearing my Acorn Wood Pin. I am an illustrator, cartoonist, zine maker, artist, and crafter. Originally from Pittsburgh, Pennsylvania, I relocated to Athens, Georgia in 2002. Currently I work as a surface designer and graphic designer for Anna Griffin Inc., where I create stationery, cards, craft supplies, and other gift products. Past clients of mine have included Athens Magazine, Venus Magazine, Sassy Baby toys, and Pittsburgh City Paper. I have also worked with a number of national and international independent artists, musicians, and writers for various projects. I draw a popular comic strip called Tofu Baby which appears each week in the Flagpole Magazine – Athens leading news and entertainment weekly. My comic Dork Lifestyle can be read on my blog, Rancho Cocoa. My comics have been featured in Friends with LuLu comic anthologies, Not My Small Diary comic books, and various self published zines. In my spare time I enjoy crafting, cooking, and studying trapeze. I am an artist, crafter, cartoonist, illustrator, and zinester. I love crafts, baking, studying trapeze, and sewing. I adopted Nilla from the local humane society in 2004. She remains an indoor house cat and best friend. She is responsible for quality control here at Shoppe Sugar Cookie in Athens, Georgia. Oreo was found abandoned on Valentine's Day in a parking lot in 2009. We took her home and she has been a great asset to Shoppe Sugar Cookie! Each design that is created goes through a strict critique process and approval from Oreo first. Jumbles was adopted from the House Rabbit Society as a "husbun" for Oreo. Each year Jumbles increases sales with new strategies, marketing, and research. He is the Top Bun here at Shoppe Sugar Cookie! 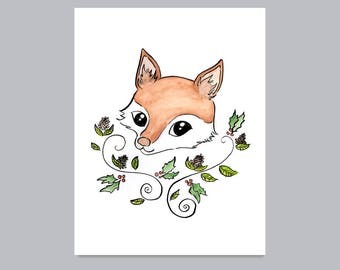 I love KA Artist Shop because they help me make my artwork look the best that it can. The KA Artist shop made my art prints for this collection. I use KAAS because they are local, make my work look amazing, and are easy to work with. Hello! Please have a peek around Shoppe Sugar Cookie. If you are not happy with your items, please let me know. Returns are accepted on a case by case basis. Paypal payment is due upon check out. If you do not pay after check out I will send an invoice via Paypal as soon as possible. If you do not send payment via Paypal right away, I will send you an invoice. If payment is not sent within three business days, I reserve the right to cancel your order. If these payment methods do not suit you, please feel free to convo me. I ship first class or priority mail on most USA orders. Overseas is air mail. Please note I only ship to your Etsy address. Please make certain that this address is correct so you can get your goodies as soon as possible. Please let me know otherwise if this is not the correct address. Tracking Numbers - Tracking numbers cost an extra $2.00 for your purchase. If you wish to add a tracking number, please convo me ahead of time so I can adjust your order. Please keep in mind I am very busy. I am a one-gal operation. I try and ship your goodies as soon as possible, but I also have a "day job" that gets in the way sometimes. If ordering for a gift or an item to arrive by a certain date, please let me know ahead of time. Please order within 2 weeks of this date. I am a one person operation and can try my best to get items out on time, but please be mindful of this and the time it takes for items to go through the postal system. Some items I am able to make a certain quantity for you, however I am unable to do a discount on items. Please convo first to let me know amounts needed and we will take it from there!